In this article, the authors propose a new framework called the MAGDM-Miner, for mining correlation rules from trapezoidal intuitionistic fuzzy data efficiently. In the MAGDM-Miner, the raw data from a Multiple Attribute Group Decision Making (MAGDM) problem with trapezoidal intuitionistic fuzzy data are first pre-processed using some arithmetic aggregation operators. The aggregated data in turn are processed for efficient data selection through fuzzy correlation rule mining where the unwanted or less important decision variables are pruned from the decision making system. Using this MAGDM-Miner, a decision-maker can overcome the drawbacks in the conventional methods of Decision Support Systems (DSS) especially when dealing with large data-set. 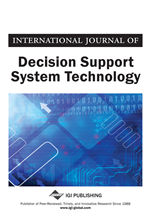 The algorithm is also presented, in which the technique of Fuzzy Correlation Rule Mining (FCRM) is fused into the MAGDM problem, in order to enhance the efficiency and accuracy in decision making environment. A numerical illustration is presented to show the effectiveness and accuracy of the newly developed MAGDM-Miner algorithm. The progress of Information Technology has determined companies to record a large quantity of information in huge databases. Due to the fact that a lot of useful knowledge is hidden in these databases, the companies need to extract this knowledge in order to help the decision-making an effective process. Data mining, also known as knowledge discovery in databases, provides efficient automated techniques for discovering potentially useful, hidden knowledge or relations among data from large databases. Data mining functions include classification, clustering, prediction, regression, and link analysis (associations), etc. Data analysts are primarily concerned with discerning trends in the data and thus a system that provides approximate answers in a timely fashion would suit their requirements better. Mining association rules represent an unsupervised data mining method that allows identifying interesting associations, correlations between items, and frequent patterns from large transactional databases and this problem was first introduced by Agrawal et al. (1993). Most association rule mining algorithms employ a support-confidence framework. Often, many interesting rules can be found using low support thresholds. Although minimum support and confidence thresholds help weed out or exclude the exploration of a good number of uninteresting rules, many rules so generated are still not interesting to the users. Unfortunately, this is especially true when mining at low support thresholds or mining for long patterns. This has been one of the major bottlenecks for successful application of association rule mining. It is important to see that strong rules are not always interesting. Whether or not a rule is interesting can be assessed either subjectively or objectively (Han & Kamber, 2006). Ultimately, only the user can judge if a given rule is interesting, and this judgement, being subjective, may differ from one user to another. However, objective interestingness measures, based on the statistics “behind” the data, can be used as one step toward the goal of weeding out interesting rules from presentation to the user. The tools and technologies that have been developed in fuzzy Set Theory have the potential to support all of the steps that comprise a process of model induction or knowledge discovery (Bandemer & Nather, 1992). In particular, fuzzy set theory can already be used in the data selection and preparation phase, e.g., for modelling vague data in terms of fuzzy sets, to “condense” several crisp observations into a single fuzzy one, or to create fuzzy summaries of the data (Laurent, 2003). As the data to be analysed thus becomes fuzzy, one subsequently faces a problem of fuzzy data analysis.